§A Djarfr and Gunnarr and Gulley had the stone raised and the bridge (made) in memory of Halfdan, their father; §B Holmfríðr in memory of her husbandman. And Œpir carved the runes. 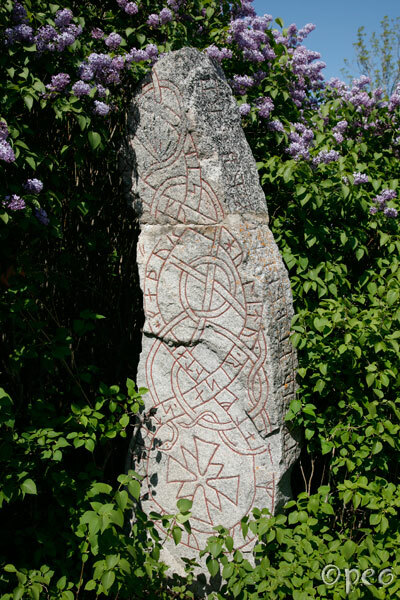 A beautiful rune stone standing in a private garden.